Grew up... with the Lin Kuei. Kuai Liang (his given name) was born to an American woman and a Chinese cryomancer with the ability to control ice, a skill he inherited. He and his older brother Bi-Han were soon kidnapped and trained by the Lin Kuei, the ninja collective his father served. Living... on his own. Eventually Sub-Zero severed his ties with the Lin Kuei, having grown disgusted by their breaks from ancient traditions, like turning their members into mindless cyborgs. Branded a traitor, he is now an independent fighter. Profession... assassin. Sub-Zero was trained in traditional ninja arts like stealth and murder. His natural powers over ice are also a helpful combat ability. Relationship Status... single. Sub-Zero is not in a romantic relationship, but considering his cold nature, he is a surprisingly good friend to fellow noble martial artists. Challenge... protecting Earthrealm. 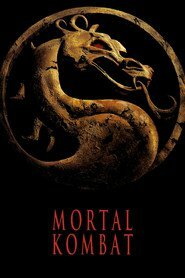 The Mortal Kombat tournament allows the evil forces of Outworld to invade Earthrealm, should they win enough fights. So to stop that from happening, Sub-Zero teams up with the benevolent thunder god Raiden and his band of heroes to win the tournament for Earthrealm. Personality... cold. Even without his frosty tricks, Sub-Zero has been hardened by his harsh, tragic life. But unlike his clan, or even his more vicious older brother, this Sub-Zero carries himself with integrity, morality, and self-discipline. Sub-Zero's popularity ranking on CharacTour is #1980 out of 5,000+ characters. See our top-ranked characters and read their profiles.